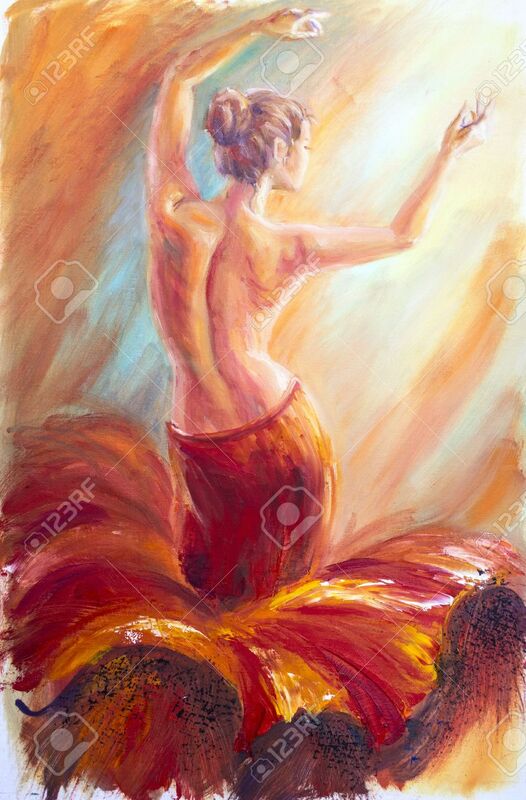 Beautiful Dancing Woman In Red. Oil Painting. 免版權照片，圖片，畫像及圖片庫. Image 30143409. 版權商用圖片 - Beautiful dancing woman in red. Oil painting.